We’d love your help. Let us know what’s wrong with this preview of Brain on Fire by Susannah Cahalan. When twenty-four-year-old Susannah Cahalan woke up alone in a hospital room, strapped to her bed and unable to move or speak, she had no memory of how she’d gotten there. Day An award-winning memoir and instant New York Times bestseller that goes far beyond its riveting medical mystery, Brain on Fire is the powerful account of one woman’s struggle to recapture her identity. To ask other readers questions about Brain on Fire, please sign up. Do you have this book? It seems really interesting. Tatiana Ruban Yes, I do. This is very interesting story. The human's brain is unpredictable and we never know what could happen on the next day. I can not access to the content . What should I do ? Recommends it for: Nurses, anyone. I took care of a patient with this tragic and intriguing disorder. Her complex and terrifying journey through this disease in ongoing. Over the course of caring for her, her sister mentioned this book. In this rare disorder, people often pass through a range of bizarre psychiatric symptoms that lead to catatonia and then often death as the body becomes unable to regulate itself, as with the patient I cared for in ICU. With the young woman who wrote this book, you see her pass through various sta I took care of a patient with this tragic and intriguing disorder. Her complex and terrifying journey through this disease in ongoing. Over the course of caring for her, her sister mentioned this book. In this rare disorder, people often pass through a range of bizarre psychiatric symptoms that lead to catatonia and then often death as the body becomes unable to regulate itself, as with the patient I cared for in ICU. With the young woman who wrote this book, you see her pass through various stages of psychosis--hallucinations, acting out, narcissisms--that baffle everyone around her until one day she has a seizure and is finally admitted to a hospital. The rest of the book is a race against time as her family and the health care professionals around her try to solve her mysterious illness and ultimately save her life in the nick of time. She considers herself incredibly lucky, and wrote this book to raise awareness about people elsewhere who may be misdiagnosed. Susannah Cahalan, a young journalist working at a great (ok not so great, kinda schlocky actually) metropolitan newspaper, suddenly notices things going awry. She starts having episodes of paranoia, becomes hypersensitive to sound, light and cold. She suffers from loss of appetite and begins having out-of-body experiences and wild mood swings. A tour of New York psych and neuro pros did not yield much more than a suspicion that she had been partying too hard. On the other hand, grand mal seizure Susannah Cahalan, a young journalist working at a great (ok not so great, kinda schlocky actually) metropolitan newspaper, suddenly notices things going awry. She starts having episodes of paranoia, becomes hypersensitive to sound, light and cold. She suffers from loss of appetite and begins having out-of-body experiences and wild mood swings. A tour of New York psych and neuro pros did not yield much more than a suspicion that she had been partying too hard. On the other hand, grand mal seizures can be so convincing. Cahalan’s is a tale of survival. It is amazing, in the 21st century, how much we do not know about the human brain. Maybe the Star Trek people were wrong. Maybe the brain is the real final frontier. It sure seems like a lot of the weapons being used today are as old fashioned as spears and tomahawks. It is Cahalan’s journey through this hostile environment that is one of the main foci here. She was diagnosed by serious professionals as having partied too hard, as being bipolar, schizophrenic, psychotic and probably a few more fun things from the DSM manual. Her story is almost like a mystery, with clues, red herrings, suspects, good guys and bad…well, there are not really any bad guys, just uninformed medical pros. Good guys include a bf made of solid gold, and several of the docs who look into her odd case. Dad stands pretty tall as well. One way you can tell the pioneers is by the arrows in their backs. In terms of what Cahalan is finally diagnosed with it is clear that many of those pioneers did not survive. There is a point in the progress of this particular disease (yes, they do find what ails her) beyond which the damage is too severe to step back. Cahalan comes through, damaged but recovering. So what are we to make of all this? Cahalan’s is definitely a story that comes from the heart. She had to struggle to reconstruct events from her life, events for which she was present, in which she was even an actor, but events for which she retained no memory. Scary stuff. Her journey through the medical Indian territory was frightening and her arrival at Fort Diagnosis was uplifting. We learn something new about the world and the information has implications for a wide swath of maladies. Might it be that many who are diagnosed with autism, say, or schizophrenia, might have a treatable, biological, as opposed to psychological, disease? It might. Consider your horizon expanded. There is a smattering of science in the book, maybe not enough for my taste, but certainly not too much, and what is there is simple and understandable, even for those of us whose medical expertise stops where the rules of Milton Bradley’s Operation end. Sorry, but it is tough to root real hard for such a person. Cahalan does offer a bit of perspective, with info on some other people who have been diagnosed with her disease. But there was nothing there indicating a correlation, or not, between disease-driven behavior and the personality of the sufferer. I suppose it should not matter. Even obnoxious people do not deserve such slings and arrows. One aspect of this disease is that it can seriously impair memory, removing some that are there, and making it difficult to impossible to form new ones. Even though I was not all that taken with Miss Cahalan as a person, she is a good writer with a fascinating tale to tell, one with implications far beyond her personal journey. I will not soon forget it. I rarely read memoirs. Too often the author spends far too much time painting themselves in the best possible light and/or justifying their behavior. It is a rare and gifted author that can objectively describe a personal event without infusing it with strong emotions. Perhaps Susannah was able to accomplish this huge feat due to the simple fact that she was unaware of herself much of the time that her brain was inflamed. She begins with the first noticeable symptom; a couple of bed bug bites tha I rarely read memoirs. Too often the author spends far too much time painting themselves in the best possible light and/or justifying their behavior. It is a rare and gifted author that can objectively describe a personal event without infusing it with strong emotions. Perhaps Susannah was able to accomplish this huge feat due to the simple fact that she was unaware of herself much of the time that her brain was inflamed. She begins with the first noticeable symptom; a couple of bed bug bites that were probably hallucinations and escalates from there. Some of it remembers in bits and pieces right up until her major seizure which wasn't a pretty picture, nor did she try to paint it as such. Rushed to the hospital, her mind is blank for the next month until she is correctly diagnosed and begins the slow healing process. I found Susannah's story absolutely fascinating. She fairly balances her experiences with simple medical terminology, cites doctors notes and tries to piece together a chronological picture of her sickness, interactions with those who love her, and hospital video. She describes her intense and insane mindset without previously establishing her basic personality. This is an excellent strategy as her writing style and brief "normal" clearly defines her as an intelligent and engaging young woman. The fact that she is confident enough to allow the reader to arrive at this conclusion endeared her to me all the more by trusting the reader. Although I recoil when an author writes a book with an agenda, Susannah's agenda is simply awareness of the possibility that mental illness can be physiological in nature, caused by a virus or bacteria, changing the personality of a person to such an extreme that mental illness is diagnosed and the person spends the rest of her life in an institution. Susannah was greatly blessed by intersecting with a doctor who had recently made the discovery of this malady. You could probably call this a great piece of investigative reporting. Unfortunately for me, it was instead labelled as a memoir, leaving me feeling exasperated and mislead. I guess I was hoping for something akin to the more enjoyable memoirs that I've read (I'm thinking The Glass Castle by Jeanette Walls, or even Memoirs of a Geisha by Arthur Golden, which is not so much memoir as it is fiction based on memoir - beside the point). This was more like an excruciatingly long newspaper article, ch You could probably call this a great piece of investigative reporting. Unfortunately for me, it was instead labelled as a memoir, leaving me feeling exasperated and mislead. I guess I was hoping for something akin to the more enjoyable memoirs that I've read (I'm thinking The Glass Castle by Jeanette Walls, or even Memoirs of a Geisha by Arthur Golden, which is not so much memoir as it is fiction based on memoir - beside the point). This was more like an excruciatingly long newspaper article, chocked full of too much medical jargon and theory to be enjoyable. I was really hoping for something witty, funny, anecdotal, interspersed with childhood memories maybe. Instead, it's about the most linear, dully-written thing I've read in a very long time. The story (actually, it's more of a soulless recording of events) starts with the onset of symptoms - we have no context for what the writer was like prior to this event in her life, and thus lose some of the implied contrast. The lack of description in the book (I'm a big fan of Hemingway's iceberg theory, but it's based on the assumption that there is a common human experience on which one can infer things that are not written - having a completely debilitating brain disease is not a part of that common experience, thus we need things spelled out for us) leaves a big divide between writer and reader. One of the things that I was always told about good writing is that the writer should show rather than tell. This book is all telling. Having just finished this (in a day and a half because I wanted to move on to something more enjoyable) I'm really confused by the 4.08 Goodreads rating. This means it's been set between "I loved it" and "it was amazing". That just seems like a really big stretch for me. The excess of sentence fragments alone should disqualify it from being anything above a 3-star rating. The book markedly lacks any sort of style or writer's voice. It's very...singular. When speaking about her mother, "She was terrified of even hearing about cancer on the radio..." I think the writer meant that her mother became "terrified" when she heard about cancer on the radio. Otherwise, she is describing an irrational fear of the radio. "...everyone around me struggled internally to keep the superficial flow of words going while also concentrating on ignoring the obvious pink elephant in the room: my shocking state." Problem words: internally, superficial, obvious, "my shocking state". What a horrid sentence. I used to occasionally watch a show called Mystery Diagnosis where someone would come down with the strangest disease with the weirdest symptoms. They would go from doctor to doctor being misdiagnosed every time. In the end, a brilliant doctor who specializes in the strangest ailments would correctly diagnose the patient with a rare disease that affects 1 in a billion people. This book is basically an episode of that show. Also, I am told that the show House was like that, but I never saw it. The I used to occasionally watch a show called Mystery Diagnosis where someone would come down with the strangest disease with the weirdest symptoms. They would go from doctor to doctor being misdiagnosed every time. In the end, a brilliant doctor who specializes in the strangest ailments would correctly diagnose the patient with a rare disease that affects 1 in a billion people. This book is basically an episode of that show. The plight of the author is enthralling but scary. Everything that happens to her will make you realize how easily our normal lives could be turned upside down. This is not a book for the queasy or someone with hypochondriac tendencies. The descriptions in the book are raw and terrifying. One other thing I will caution, not really good or bad, it just depends on your taste, is that the book is very clinical. After reading I almost feel like I could go out and diagnose this condition myself. If you prefer your non-fiction in layman's terms, this may not be the book for you. Diagnosed schizophrenic. Psychotic or the victim of the greed of drug companies? The last book I read was Stir: My Broken Brain and the Meals That Brought Me Home, an experience of brain aneurysm and recovery. It was very so-so but the author's appealing personality added much to the book. I hoped that Brain on Fire, in the same genre, would be better. The author's personality didn't shine through, but this might have been a fact that she lost herself with her illness. The illness, a rare, auto-i Diagnosed schizophrenic. Psychotic or the victim of the greed of drug companies? The illness, a rare, auto-immune disease of the brain seems to mimic schizophrenia and you could see this when it was full-blown. However, what was not clarified was when the author was nuts and when she was seriously ill. Before her illness it becomes apparent th at she might go to work clean and neat, but her apartment is filthy and she is a hoarder. Her first symptom was that of seeing a bed bug bite on her arm (given the state of her apartment you could see that her sheets probably hadn't been washed in months) but no one else could see the bed bug bite. I did wonder about her boyfriend, why he had enabled her to live like a mentally-ill person before she actually was. Why hadn't he cleaned the place if she was incapable of it? Or got in a cleaner, we are talking very wealthy people here. The author makes an excellent point in that many people living with 'schizophrenia' might actually have the same, easily curable brain disease, but the process of diagnosis was very expensive, although now one would hope that there are protocols to follow to rule it out before labelling someone psychotic-for-life. The treatment was beyond most people's means, and most insurance companies would have bailed out long before $20,000 a bag drips were given. they pleased. So on my island they pharmacy's were making a profit selling the drugs at $6, and in the US the insurance companies were being asked to pay out $250 for the exact same medication in the exact same packaging. So maybe people were being diagnosed as schizophrenics rather than having a brain inflammation because of the greed of the drug companies and the desire of insurance companies to put profits before health? Is this not a sick society? The book was an ok read. Medical mystery solved. Pretty girl goes back to work and becomes celebrated author. It could have been better. The author could have collaborated with the brilliant doctor who diagnosed her to present a proper check list of symptoms and of tests to be done, so that other people might have a better chance of diagnosis. For this, it's just three stars. I'm a neurologist, and it's amazing to see a book written from a patient's perspective, especially one with a such a good outcome. The book progresses from the starting of the disease process and right up to the recovery stage. It's unnerving to read about the psychotic episodes, the complex partial seizures, the generalised seizures and ultimately, the catatonia. It must have been very frightening for both the author and her loved ones to witness all of those events u Wonderful, wonderful book. I'm a neurologist, and it's amazing to see a book written from a patient's perspective, especially one with a such a good outcome. The book progresses from the starting of the disease process and right up to the recovery stage. It's unnerving to read about the psychotic episodes, the complex partial seizures, the generalised seizures and ultimately, the catatonia. It must have been very frightening for both the author and her loved ones to witness all of those events unfolding. Scientifically, the book is well-researched, and I love how the medicals terms are explained without jargons. I particularly love the part where the author describes how IVIGs are produced. That being said, I doubt the significance of the visual neglect as shown with the clock face drawing, and it was written as if the visual neglect led to the diagnosis of autoimmune encephalitis. I guess, perhaps, the visual neglect counts as 'focal neurology' -- hard evidence that something's wrong with the 'hardware' i.e. the brain, and that would have prompted the doctors to look harder for an organic cause of the psychosis and hallucinations. This book truly highlights that doctors should always be aware that there are organic possibilities to consider before bouncing so-called psychotic episodes over to the psychiatrist. I truly hope that the thousands and thousands of patients with NMDA-R antibody encephalitis and their relatives would find comfort in this book, and that they come across brilliant and compassionate neurologists who would champion their plight. On the final note, I'm glad for all the wonderful work that Dr Dalmau has done in the field of autoimmune encephalitis, and the author's recovery is testament to how well patients with the same condition could fare. Without him and his group, many patients would have been locked up in a psychiatric hospital or a nursing home without any reprieve despite the fact that NMDA-R antibody encephalitis *is* a treatable condition. P/S: I read the very same Lancet paper by Josef Dalmau when I was looking up on how to treat this disease, and I still pass the same abstract around when colleagues from other hospitals & specialties ask me about good papers to read regarding NMDA-R antibody encephalitis. I found this book troubling. Not because of the medical mystery -- that was the most interesting of all. It seems that the book would be better written in the third person, by someone other than the author/experiencer of the madness. By her own account, she cannot describe what it felt like to have her brain be on fire. The book says she uses journalistic techniques to piece together. And yet these tidbits drop in without much sense of how they were discovered (except for the case of the videota I found this book troubling. Not because of the medical mystery -- that was the most interesting of all. It seems that the book would be better written in the third person, by someone other than the author/experiencer of the madness. By her own account, she cannot describe what it felt like to have her brain be on fire. The book says she uses journalistic techniques to piece together. And yet these tidbits drop in without much sense of how they were discovered (except for the case of the videotapes in the epilepsy ward). There are some reproductions of notes she scribbled and some doctors' notes, but the book felt remarkably lacking in insight. The Syrian doctor who made the diagnosis is interesting; we get some, but not much. In the absence of a more straightforward journalistic accounting, and in the absence of our sympathies (we don' get to meet Cahalan prior to her paranoia, so we don't have any baseline), I wanted the book to be reflective, philosophical about the state of madness, about what creates people's sense of their own mind, about paranoid. None of that happened. I found myself reading to finish, rather than reading to enjoy. I am the perfect audience for this book: a catastrophic thinker who worries about any and all sensational news. I put off reading this one for a good long time because I was afraid...then decided I had better read it, just in case. I could save a life with this information! I listened to the audio, which felt a little flat. It is impressive to consider that the author had to do so much investigative reporting to write her own story simply because she didn't remember it, but the combination of the I am the perfect audience for this book: a catastrophic thinker who worries about any and all sensational news. I put off reading this one for a good long time because I was afraid...then decided I had better read it, just in case. I could save a life with this information! It might not be the sexiest of subjects, but I really have a thing for neurology. How our billions of brain cells and their chemistry function is still a great mystery, but also toss in immune responses that have gone haywire, and there are complexities here that are beyond fascinating when unraveled. This is the June selection for one of my book clubs, otherwise it is unlikely that this memoir would have drawn me in, but I did enjoy it. One of my teenagers was born over three months preterm, and It might not be the sexiest of subjects, but I really have a thing for neurology. How our billions of brain cells and their chemistry function is still a great mystery, but also toss in immune responses that have gone haywire, and there are complexities here that are beyond fascinating when unraveled. This is the June selection for one of my book clubs, otherwise it is unlikely that this memoir would have drawn me in, but I did enjoy it. One of my teenagers was born over three months preterm, and having a science background, I acquainted myself on basic pre-natal neurology. I needed to understand how spending his third trimester outside of the womb and being injured daily with IV needles, heel sticks, etc was different from being protected in utero. After all that reading 16 years ago, I'm a confirmed nut for brain stuff. Yeah, no - not quite a zombie.. but I do love brains. As the title and publisher's blurb tells you, this is the story of a young woman who came down with a rare inflammation of one hemisphere of her brain - probably caused by some sort of environmental trigger...a bug bite or maybe a virus.. but also tied to her own body's unique immune system. That the inflammation was even found was in itself a rarity in that the symptoms that went along with it were extremely similar to schizophrenia. Had she not had affluent parents to advocate for her and very good health insurance, her story might have ended quite differently. She mentions the insurance coverage a bit toward the end, but I kept wondering throughout the entire book about those with lesser resources. The IV infusions she received cost $20,000 per bag, and her overall treatment cost was over $1 million. She did report the possibility that people who are living with schizophrenia (or even autism) actually might not have that neurological disorder, but be suffering from inflammation instead. Sobering thought. A pretty, 24 year old white girl who works as a reporter in NYC and has highly educated, affluent, and tenacious parents is more likely to find a miracle diagnosis and treatment plan than your average guy. The story was interesting, but missed some potential. The writing was a touch redundant, but then again, it is pretty good for someone her age and who has overcome brain issues. The content and message were great - the delivery was okay. As an aside, many years ago when I was in elementary school and came home with chicken pox, I transmitted the illness to my 13 year old sister. For a few days, her symptoms shadowed mine, but she suddenly started raving with high fever. She leapt onto the bed, jumping and snarling - almost animal-like. When my petite grandmother went to soothe her, my sister knocked her to the floor and seemed, well, kinda psychotic. When the paramedics arrived, they gave her a sedative and loaded her onto a gurney that they carried down the stairs from our shared bedroom. I never saw her again. The chicken pox had mutated into encephalitis, and her immune response went into overdrive. She was brain dead after just a day but was kept alive so her organs could be harvested for another child. WHY? Why did the encephalitis not hit my brain but did so hers? Immune responses and pathogens and neurology....cryptic stuff, but something close to my own sort of wondering. This review has been hidden because it contains spoilers. To view it, click here. ! The first half went like this, "what's wrong with me? I'm going crazy" restated in about five thousand ways. Then midway through the book we finally find out SC has NMDA-receptor autoimmune encephalitis, which is sometimes misdiagnosed as schizophrenia (or schizoaffective disorder in SC's case). I really wish the story wasn't presented as a Mystery Diagnosis or an episode of House. Just let us know from the beginning what it is you suffered from and let the story unfold from there. I started this book last night, and couldn't put it down until I finished it this morning. I know her story all too well as I've been in a similar dark place myself. Aphasia, myoclonus, amnesia, jemais vu, hyperesthesia, allodynia, hemiparesis, paresthesia, cognitive impairment, impaired executive function, depersonalization, neuropsychological assessments, hemiplegic, acephalgic -- words that began to define my life just last year. Her story is a remarkable one, but as a journalist, I believe sh I started this book last night, and couldn't put it down until I finished it this morning. I know her story all too well as I've been in a similar dark place myself. Aphasia, myoclonus, amnesia, jemais vu, hyperesthesia, allodynia, hemiparesis, paresthesia, cognitive impairment, impaired executive function, depersonalization, neuropsychological assessments, hemiplegic, acephalgic -- words that began to define my life just last year. Her story is a remarkable one, but as a journalist, I believe she downplayed the emotions that this kind of brain sickness evokes. The fear that comes with not remembering, of losing your cognitive abilities -- unable to read, write, make decisions, follow instructions. The defeat from inconclusive tests, doctors with no answers, even doubting your psychological health. The utter loss of self, of what makes you YOU. Wondering if you'll ever be "you" again, mourning the loss of who you used to be. Finally the celebration, that turning point, the triumph when you overcome your obstacles to write that first article again (or in my case pass that exam.) But really, can anyone accurately describe those feelings? Phenomenal - undoubtedly the best non-fiction book I have read so far this year. This a non-fiction book in which Susannah Cahalan has documented a month of complete horror for herself and her family - a month when she went from being a completely 'normal' 24 year old woman to being strapped onto a gurney in a hospital with doctors and nurses contemplating admitting her to a psychiatric ward. It began with flu like symptoms which slowly evolved into constant paranoia - she experienced seizures bu Phenomenal - undoubtedly the best non-fiction book I have read so far this year. This a non-fiction book in which Susannah Cahalan has documented a month of complete horror for herself and her family - a month when she went from being a completely 'normal' 24 year old woman to being strapped onto a gurney in a hospital with doctors and nurses contemplating admitting her to a psychiatric ward. It began with flu like symptoms which slowly evolved into constant paranoia - she experienced seizures but the doctors kept telling her to quit drinking, that drinking too much and working too hard was her problem. It got to the point where she believed her own father was an imposter and had battered her step-mother to death. This was when she was finally admitted into a hospital, only for a month of fear and exhaustion to take over - the doctors couldn't work out what was wrong with her...and time was running out. Susannah's brain was on fire, it was slowly shutting off and destroying everything that made her who she was. How were they to save her? Imagine one day you are fine, going to work and doing what you always done, then out of the blue you start acting strange. You become paranoid, eventually you start hearing voices and attempt jumping out of moving vehicles. You must caught a bit of the crazy right? Maybe not. This is what happened to Susannah Cahalen, a reporter for the New York Post. One morning she saw a couple of bug bites on her arm and was convinced she had a bed bug infestation. She brought exterminators into her home, even Imagine one day you are fine, going to work and doing what you always done, then out of the blue you start acting strange. You become paranoid, eventually you start hearing voices and attempt jumping out of moving vehicles. Maybe not. This is what happened to Susannah Cahalen, a reporter for the New York Post. One morning she saw a couple of bug bites on her arm and was convinced she had a bed bug infestation. She brought exterminators into her home, even though she couldn't find any evidence of the critters. The exterminator couldn't find them, said they didn't exist, but she insisted they treat the apartment for them anyway. This was only the beginning. Susannah kept deteriorating, doctors mis-diagnosed her many times, one even blamed it on excessive drinking with a 'wink'. You know, a young girl in New York obviously was partying too hard.....I think I would have punched that jerk in the dangly bits and blamed it on a seizure(of which she had many)"oops! Sorry doc but I couldn't help it!" One day after about a million dollars worth of tests came up with zilch, Dr. Souhel Najjar came aboard Susannah's case, and it's a darn lucky thing that he did, because he had recently discovered a rare auto immune disease called Anti-NMDA receptor encephalitis. This basically will make you seem like a crazy person, and make you do odd enough things and movements that will cause people to call in an exorcist. Since this disease has been in existence as long as humans have, it's a pretty safe bet that many of those poor people who were thought to be possessed and subsequently exorcised had in fact Anti-NMDA receptor encephalitis and not the devil inside them. "Magic is only science we haven't discovered yet." Someone said...?? Christopher Moore?? And that is the truly scary part in a very scary tale, that millions of people over countless years have been mis-diagnosed, put in institutions and left to die, or treated as evil and possibly put to a horrible death. I cannot figure out why it is so difficult for me to write reviews for books I am passionate about, or which I loved! In looking back at the books I've read on goodreads.com, I realized that almost all of the highest rated books on my shelves have 2 sentence reviews, if any. I guess that's why it's taken a month to figure out what exactly I want to say about Brain on Fire, a medical memoir by journalist Susannah Cahalan. Where do I begin?! Cahalan develops a mysterious illness over the course of I cannot figure out why it is so difficult for me to write reviews for books I am passionate about, or which I loved! In looking back at the books I've read on goodreads.com, I realized that almost all of the highest rated books on my shelves have 2 sentence reviews, if any. I guess that's why it's taken a month to figure out what exactly I want to say about Brain on Fire, a medical memoir by journalist Susannah Cahalan. Where do I begin?! Cahalan develops a mysterious illness over the course of 2 months, which leads to an extended stay in NYU's Epileptic ward. Exhibiting symptoms of extreme psychosis and catatonia, her family and close friends' loyalty is put to the test as they seek answers and a cure for Cahalan's rapidly escalating condition. One aspect of this book that I think is unique is that at the height of her illness, Cahalan loses her memory, and as a result has no recollection of her experiences, including her recovery. As a journalist, she pieces together the events leading up to her illness and it's aftermath by interviewing her family, friends, and doctors. NYU's research environment also provided much material by way of extensive notes and videos. “We are, in the end, a sum of our parts, and when the body fails, all the virtues we hold dear go with it.” How true that is! Especially is this the case when either our or a loved one's body is ravaged by a disease. The "real person" is still there, but it can get so muddled up, and be so discouraging to witness. I also appreciated the attention she drew to finding a diagnosis. I would have never believed how hard it is to "get well" unless I'd seen it with my own eyes. I am not sure if as a whole, society is desensitized to death, or if our view on life expectancy and the quality of life has diminished. At any rate, it seems as though doctors today don't think twice about sending you home to die, or suffer through whatever ailment you have. You have to fight for answers, persistently ask for a second opinion, and have darn good medical insurance coverage. What about those that fall through the cracks of that system? Cahalan happened to be at the right place, at the right time. So many others with her condition were misdiagnosed, and essentially sent home to die. It's disconcerting, but I am sure it happens so much on a daily basis. At the age of 24 Susannah Cahalan was doing just fine. She was lively, talkative, and fun-loving; she worked as a reporter for the New York Post; she lived in an apartment in Hell's Kitchen; and she had a great boyfriend named Stephen. Then Susannah began to change: she forgot to prepare for an important work meeting; started to get migraines; felt compelled to snoop through Stephen's things; developed numbness.....then pins and needles. Before long these symptoms morphed into intense crying; rambling speech; facial grimaces; chewing motions; puppet-like movements; aggressive behavior; out-of-body experiences; seizures; paranoia; and delusions. Susan started to imagine that people were saying nasty things about her (or to her) and became convinced that her father had killed his wife (who was alive). In time, Susannah could hardly walk or speak. Susannah saw doctor after doctor and had numerous medical and psychological tests, but physicians couldn't agree on a diagnosis. Suggestions included: excessive drinking and partying; anxiety attacks; epilepsy; bipolar disorder; schizoid disorder; schizophrenia; meningitis; encephalitis; and more. Eventually, Susannah broke down completely and had to be hospitalized. At this point, Susannah 'lost' a month of her life.....she has no memory of this period. However, Susannah was able to reconstruct this time using hospital videos, doctors' files, interviews with medical personnel, recollections of friends and family, and a journal kept by her parents. Susannah might have descended into permanent psychosis, or even died - but was lucky enough to be diagnosed by a Syrian neurologist, Dr. Souhel Najjar. Dr. Najjar determined that Susannah had a rare autoimmune disorder called "anti–NMDA receptor autoimmune encephalitis" - in short, antibodies from Susannah's immune system were attacking her brain. Dr. Najjar prescribed an intensive and prolonged regimen of steroid drugs, which ultimately halted the antibody assault on Susannah's head. The question remained.....could she recover completely? Fortunately Susannah had enormous support from her parents, stepparents, and Stephen - as well as excellent medical care (and good insurance). In this memoir Susannah presents a thorough and vivid description of her descent into 'madness' and her difficult step by step recovery - which required her to re-learn how to walk, talk, and interact with people. Susannah also provides general information about the brain, how it works, how memories are formed, etc. This is interesting and accessible to the lay person. Susannah's case became a 'cause celebre' - with articles in medical journals and newspapers as well as television appearances. As it turns out, the widespread publicity benefitted people who shared Susannah's illness, but were misdiagnosed. Some doctors, seeing articles about anti–NMDA receptor autoimmune encephalitis, were able to re-assess their patients. In some cases, this saved lives. One BIG lesson I took away from this book is that it's very important to find the right doctor and get the correct diagnosis. As Susannah points out, people throughout history who were thought to be psychotic may have had anti–NMDA receptor autoimmune encephalitis.....or some other organic brain disorder. Of course this is true about health issues in general - ongoing research and new information often sheds light on previously 'mysterious' maladies. I'd recommend this book to readers interested in memoirs about illness and recovery, especially brain disorders. A must read for anyone interested in psychology, or neuroscience. Susannah is a successful 24-year-old reporter. She has a good relationship with her boyfriend, her divorced parents, and her little cat. Then she wakes up with a bug bite on her arm. She is convinced that bedbugs are infesting her apartment. She calls the exterminator to spray, even though he insists there's no sign of bugs. And what's with all this junk? Why is she holding on to all this stuff? She starts to throw away everything sh A must read for anyone interested in psychology, or neuroscience. And what's with all this junk? Why is she holding on to all this stuff? She starts to throw away everything she sees as "cluttering" her apartment: photos, books, papers. And her boyfriend! What if he's cheating on her? She's seized with an uncontrollable urge to spy on him. She goes through all his e-mails and searches his apartment. Slowly her friends, family and colleagues start to realize that something is very, very wrong with Susannah. Is she going crazy? Will she have to be locked in a psych ward for the rest of her life? Cahalan paints a very vivid picture of hell: losing control of your mind and who you are but not being able to do anything about it. She describes being trapped inside her mind, knowing that what she's doing and saying is crazy but unable to stop herself. The only reason this is not getting 5 stars from me is that it is a bit heavy on the technical medical jargon and while I have a solid knowledge of psychology and neuroscience terms, the average reader does not and will find this tedious or confusing. Gripping....alarming....educational narrative about a rare disease through Susannah's account of what happened before and after her diagnosis. Those of us with an autoimmune disease can relate to this story. I don't share this part of my life often but it took 16 months for me to get diagnosed with myasthenia gravis. It's not as severe as anti-NMDA-receptor autoimmune encephalitis but not fun nonetheless. I think this is an important read for all in the medical field. "Maybe it's true what Thomas Moore said," Susannah Cahalan writes,"it is only through mystery and madness that the soul is revealed." How else does one solve the puzzle of the devastating effects of illness, specifically illness of the brain? Some survive, maybe even thrive, while others remain in despondency. The true soul emerges through despair. The healthy brain is a symphony of 100 billion neurons, the actions of each individual brain cell harmonizing into a whole that enables thoughts, movements, memories, or even just a sneeze. But it takes only one dissonant instrument to mar the cohesion of a symphony. I'll admit, I picked up this book because I thought the phrase, brain on fire, alluded to pain. if you've been my GR friend for some time, at some point you've seen me mention the debilitating pain I live with; it sometimes feels as if my brain is literally on fire. I won't go into the medical terminology for it, but some refer to it as "the suicide headache." I choose to ignore the colloquial name for it because…well, you can imagine. I quickly realized the phrase brain on fire doesn't allude to those particular moments of electrical shock waves of pain and burning in the head, but the idea that I picked up this memoir based on that thinking, achieves a goal: it showcases the richness of Susannah Cahalan's shared memories of illness because this is what she wanted, to use her story to start a discussion around illnesses affecting the brain. Cahalan's story helps the victims of the unknown "foggy consciousness" called encephalitis, an "inflammation of the brain" that results in a victim's change of personality; an ailment which mimics mental illnesses like schizophrenia and bipolar depression. I would soon learn firsthand that this kind of illness often ebbs and flows, leaving the sufferer convinced that the worst is over, even when it's only retreating for a moment before pouncing again. The doctors don’t actually know how it began for me. What’s clear is that if that man had sneezed on you, you’d most likely just get a cold. For me, it flipped my universe upside down and very nearly sent me to an asylum for life"
Our brain is everything. Without it, we are a shell. That’s something we may take for granted, because who wants to think about it. So what happens when something goes wrong, especially when it alters the person we were with no explanation whatsoever? The beginning of her symptoms seemed innocuous. Funny even. As she describes it, one morning in 2009 Susannah woke to find two small bites on her arm and became convinced that her New York apartment had a bedbug infestation, even though an exterminator told her otherwise. "From here on, I remember only very few bits and pieces, mostly hallucinatory, from the time in the hospital. …the break between my consciousness and my physical body was now finally fully complete. In essence, I was gone. This was the beginning of my lost month of madness"
A team of no less than nine doctors, specialists of different fields, would enter into her perplexing case within the first week. Susannah’s condition ebbs and flows, but gets far worse before it gets better (this is not a spoiler). Worsening paranoia, hallucinations, voices, and catatonia. I won’t go into further details, but ask the question: Have you ever watched the show, “House” with Hugh Laurie? Once in the hospital, that’s what this book reminded me of. Test, test, test, prognosis. Some very smart doctors. A baffling case. Happy ending? Yes, but with a long, painful road to recovery. Son zamanlarda kurguyla aram çok kötü olduğundan (bknz 2 yıldız verdiğim 3824 kitap), tür değiştirmeye ve kurguyla alakası olan her şeyde olabildiğince uzak bir kitap okumaya karar verdim. Oysa Beynimdeki Yangın o kadar uzun süredir kitaplığımda ki, kitabı ne zaman satın aldığımı bile anımsayamıyorum aslında. Kısmet bu güneymiş. Kitap, New York Post'ta gazetecilik yapan Susannah Cahalan'ın başından geçen bir hastalığı anlatıyor. Hastalığın başlangıcından, iyileşmenin son aşamalarına kadar, yaklaş Son zamanlarda kurguyla aram çok kötü olduğundan (bknz 2 yıldız verdiğim 3824 kitap), tür değiştirmeye ve kurguyla alakası olan her şeyde olabildiğince uzak bir kitap okumaya karar verdim. Oysa Beynimdeki Yangın o kadar uzun süredir kitaplığımda ki, kitabı ne zaman satın aldığımı bile anımsayamıyorum aslında. Kısmet bu güneymiş. Kitap, New York Post'ta gazetecilik yapan Susannah Cahalan'ın başından geçen bir hastalığı anlatıyor. Hastalığın başlangıcından, iyileşmenin son aşamalarına kadar, yaklaşık bir yıllık bir süreç bu. Gerçek bir hikaye olduğundan anlatı yer yer yavaşlıyor ve hastalık hakkında teknik detaylara girdiğinden, bazen anlaşılması biraz zor bir hale gelebiliyor. Buna rağmen kitabı birkaç günde bitirdim. Eğer bu tarz şeylere ilginiz varsa, Beynimdeki Yangın kesinlikle okumanız gereken bir kitap çünkü anlattığı hastalık konusunda insanların bilinçlenmesi gerekiyor. Bütün bunlar 2009'da başlamış ve 2010'da sonlanmış ve o zamandan bu zamana tıp dünyası bu hastalık konusunda çok gelişme kat etmiş (ve kitabın basıldığı 2012'den bu yana ilerlemeyi sürdürmüşlerdir, diye düşünüyorum). Ama 2009'da NYU'nun hastanesine yatırılan Cahalan'ın bile ölümden neredeyse kıl payıyla kurtulduğunu düşündükçe insan korkuyor. 2009'dan bu yana elbette çok ilerleme vardır ama, acaba Türkiye'de kaç kişi bu hastalığa yakalandı da tehşis edilemedi? (O noktada Cahalan, Amerika'da bu hastalığın tehşisi konan 271. hastaymış ve o günden sonra sayı binlere çıkmış.) Birçok başka hastalığın semptomlarını yaşattığı için hastaya, kaç kişi yanlış tedaviden dolayı öldü? ya da akıl hastanelerine kapatıldı? Kitabın sonlarına doğru Emily adındaki bir kızın hikayesi vardı. Kızın babası, Emily'e tehşis konulmasını Susannah Cahalan'ın hastalığı atlatmasının ardından yazdığı bir makale sayesinde başarmıştı. O kısım o kadar dokundu ki içime, anlatamam. Kitabın ortalarına kadar bunun psikoloji temelli bir kitap olduğunu sanıyordum, aslında alakası yokmuş ve bana daha önce adını bile duymadığım birçok konuda birçok şey kattı bu kitabı okumak. Okuması benim için kolay olmadı ama kesinlikle harcadığım zamana değdi. Öneririm. The most amazing thing about this book was that she was able to write it at all, given her descent into non-functionality. She is a lucky young woman indeed, in so many many ways. For personal reasons, I'm not going to write a proper review of this book. What I have to say would most certainly invite irritating and argumentative comments from strangers, and I'm just NEVER in the mood for those people. 3.25/5. I’m always a little hesitant to give memoirs a rating, since I don't want to leave the impression that I'm "rating" the author's experiences in any way. Instead I'm rating the author's depiction of these experiences, focusing on the way it was written and how it influenced my overall reading experience. The subject matter of this book is very interesting and frankly, a little frightening to read about, since it tells the story of the author’s 'month of madness', after which she was diagno 3.25/5. I’m always a little hesitant to give memoirs a rating, since I don't want to leave the impression that I'm "rating" the author's experiences in any way. Instead I'm rating the author's depiction of these experiences, focusing on the way it was written and how it influenced my overall reading experience. 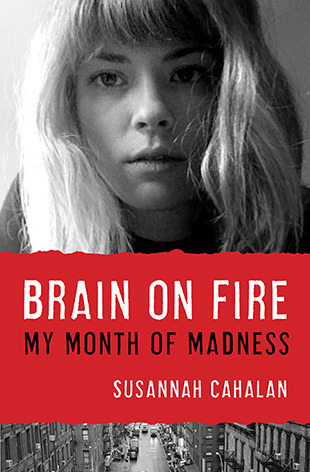 I have to thank my daughter for referring Brain On Fire: My Month Of Madness by Susannah Cahalan to me. An informative, scary and fascinating true story. Susannah Cahalan, a writer at the New York Post, recounts her months of battling an invisible illness. The author tells of her experience with a rare and recently discovered autoimmune disorder that causes symptoms such as seizures, psychosis, basically a descent into madness. Not a story I'm likely to forget. 4.5 Stars. Equally fascinating and terrifying. I was a psych major, and I've been meaning to read more psych related nonfiction, and I'm pleased with this choice. There is quite a bit of psych/bio related information, but I think she manages to do it in a manner that isn't overwhelming. For me it was a nice refresher. I think one of the most interesting aspects was her social commentary about what it means to possibly be mentally ill.
l also appreciated that throughout the book she is cognizant 4.5 Stars. Equally fascinating and terrifying. I was a psych major, and I've been meaning to read more psych related nonfiction, and I'm pleased with this choice. There is quite a bit of psych/bio related information, but I think she manages to do it in a manner that isn't overwhelming. For me it was a nice refresher. l also appreciated that throughout the book she is cognizant of the fact that although she went through this horrific journey, she is also incredibly incredibly lucky (being that she is from an upper class family that can afford fancy doctors and her insurance). 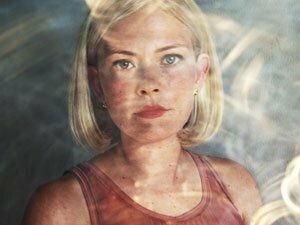 Susannah Cahalan is the New York Times bestselling author of "Brain on Fire: My Month of Madness," a memoir about her struggle with a rare autoimmune disease of the brain. She writes for the New York Post. Her work has also been featured in the New York Times, Scientific American Magazine, Glamour, Psychology Today, and others.